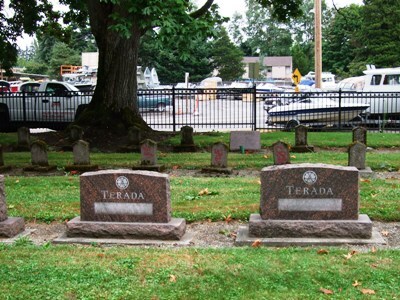 Everyone has an Auburn Pioneer Cemetery in their life. It’s that one place we see every day that piques our interest as we drive to and from work. Sometimes the traffic or red light gives us a chance to look more closely as we pass by. We take a moment to admire the archway’s elegant carving and idly survey the rows of moss-covered stones. Then we wonder how a cemetery ever got sandwiched between a boat seller and a major thoroughfare. But then traffic speeds up or the light turns green and suddenly, the day’s demands crowd everything else out. Work, grocery runs, children, or upcoming project presentations block out everything but the daily necessities. The idea of visiting a non-descript cemetery disappears until the next time we’re held up and need to kill two minutes worth of time before moving on. And once again, the intriguing entry way beckons. 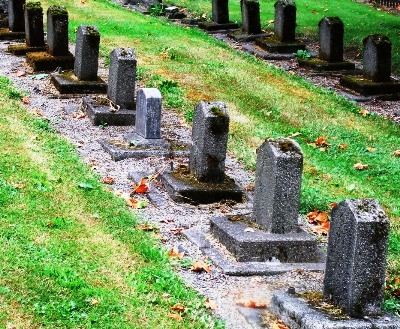 …while located on the side closest to the highway, are the more haphazardly situated, pioneer headstones. It almost seems as if there’s a deliberate separation between the early Japanese and pioneering settlers. Further research in the White River Museum archives shows this to be the case. 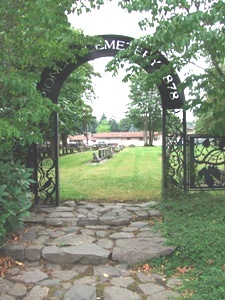 While the actual cemetery was originally the burial plot for a local family (Rachel Ann and John Faucett) who established their homestead in 1864, the Japanese community was not granted the right to inter family remains here until 1917, when they were finally permitted a 25-foot strip of land. Following that, burial eligibility depended on whether one had an ancestor already buried in the cemetery. 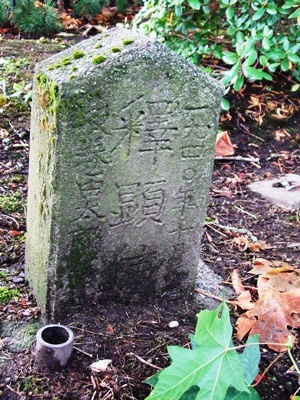 A closer examination of the cement markers reveals the 1920’s kanji-styled calligraphy is still visible on many stones while others are quickly succumbing to the Pacific Northwest weather. Another peculiar sight is a massive rock situated almost smack in the middle of the cemetery itself. 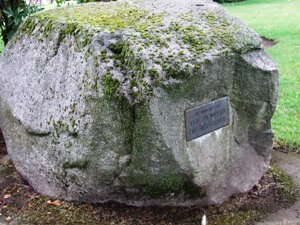 Carrying a plaque dedicated to the earliest pioneering families, the stone isn’t just one of those typically generic memorials. No, this boulder was a deliberate, in-your-face response to an argument between the City of Auburn and the descendants of those buried at the site. However, it wasn’t until 1965 when the commemorative plaque was formally affixed and dedicated during a special ceremony. 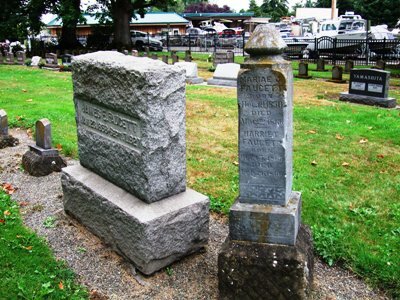 One of the more surprising headstones in this cemetery is the one for Angeline Seattle, who died in 1907. 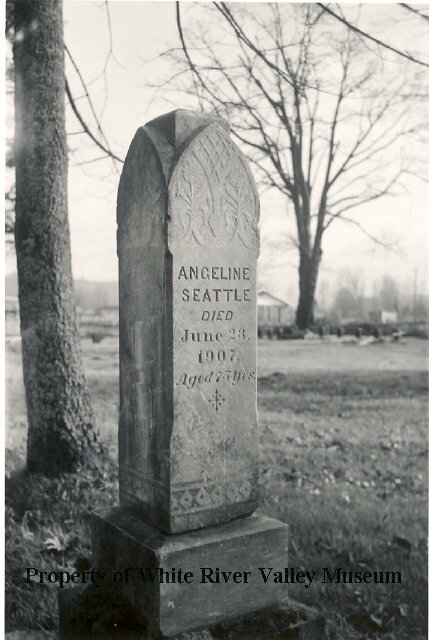 Often confused with the famous Princess Angeline, daughter of Chief Seattle, Auburn Pioneer’s Angeline was Angeline Tumas. She and her husband were farmers and members of the local Muckleshoot Indian tribe. 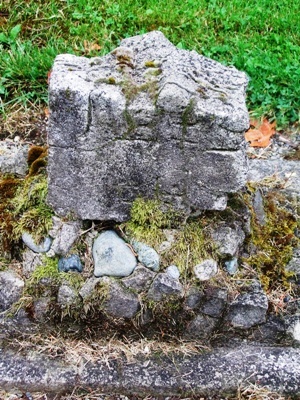 The more well-known Princess Angeline is buried in Lot 111 of Seattle’s Lakeview Cemetery and unlike the Auburn Angeline’s elaborate marker, Princess Angeline’s grave is marked by a rough cut stone and plaque. 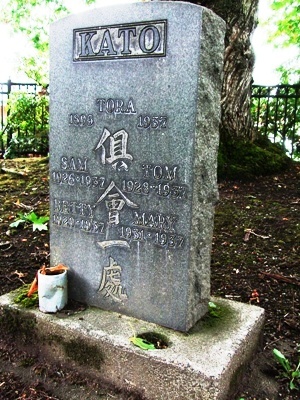 Probably the most well-known story from Auburn Pioneer Cemetery involves the Kato family tragedy. The 1930s were difficult times for most Americans but for the Kato family, financial difficulties and apparent ill-health eventually became insurmountable. By 1937, suicide seemed the only way out. On Valentine’s Day, the wife and four children ingested sleeping pills and after falling into a deep sleep, were killed by the husband, Enichi. The original plan had Enichi following his loved ones into death but curiously, this never happened. Worrying that there would be no funeral markers for his family, he buried the bodies in the back yard and left for California. Presumably, he sought to earn enough to pay for individual headstones before taking his own life. Law enforcement officials eventually caught up with Enichi and he was sentenced to life in prison. 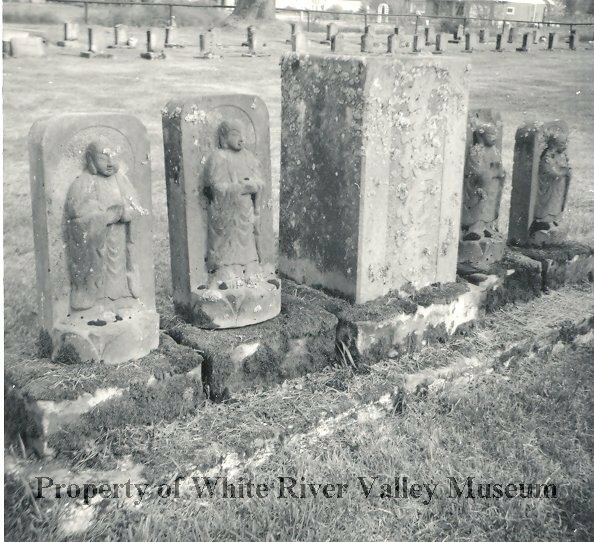 In time, local community collection efforts pooled enough money to pay for a family marker with four jizo statues signifying the children’s tragic death. Unfortunately, the statues’ mysterious smiles proved too irresistible and three jizos were stolen from the cemetery. Eventually, one statue was returned after it was discovered masquerading as a local garden gnome. Visitors peeking around the northwestern foliage can still see the two remaining statues keeping their poignant guard over the Kato family plot. Note: A special thanks to the White River Museum journal archives and to researcher/writer Kristy Lommen, Auburn Pioneer Cemetery webmaster. 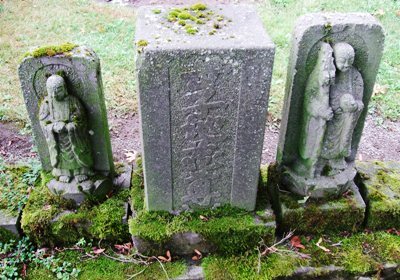 For those readers interested in learning more about the 1920s kanji stones, Ms. Lommen’s previous article posting can be found here.